A European Central Bank (ECB) report analysing the use of cash, cards and other payment methods used in the euro area economies in 2016 showed Malta is the cash capital of the EU, topping the list of countries where most transactions are effected directly in cash. According to the detailed study, 92 per cent of all transactions in Malta were made in cash, bypassing any use of electronic or banking system, which would leave an audit trail. The EU average for cash transactions in 2016 was 79 per cent. The ECB said that cash transactions in Malta constituted 74 per cent of the total value of transactions in the Maltese economy that year. The figure was 54 per cent for the EU. Although Malta tops the list of cash-dependent economies, other southern Member States follow closely, with the Greeks and Cypriots paying in cash in 88 per cent of their transactions and Italians paying cash in 87 per cent of theirs. On the other hand, the study shows that northern European countries are less dependent on cash, with the Netherlands having the fewest cash transactions, with just 45 per cent. Although the ECB’s study did not delve into the reasons that southern Member States were still more dependent on cash transactions despite easily accessible electronic banking payment services, leading economists who spoke to this newspaper said that one of the main reasons is “rampant tax evasion”. “The degree of cash payments is usually tied to the level of the hidden economy in a particular country. The more cash payments, the bigger the share of the hidden economy,” one economist said. “There are other reasons, particularly the level of liquidity in the country, which may also pose problems of inflation. “But normally it’s all about tax evasion,” he said. A university lecturer who teaches economics said that he was not surprised with the results. “We are all living in Malta. Ask those who need some service, from plumbing to tiling, cleaning, babysitting or something construction related, and you will find that almost all operators ask to be paid in cash. “Now make up your mind why it is like that. “Unfortunately, nothing is being done to tackle tax evasion and the black economy, which creates a big injustice for those who actually do pay taxes,” he said. According to the study, in 2016 the average Maltese made 1.6 transactions in cash per day and only 0.1 in some form of traceable payment. 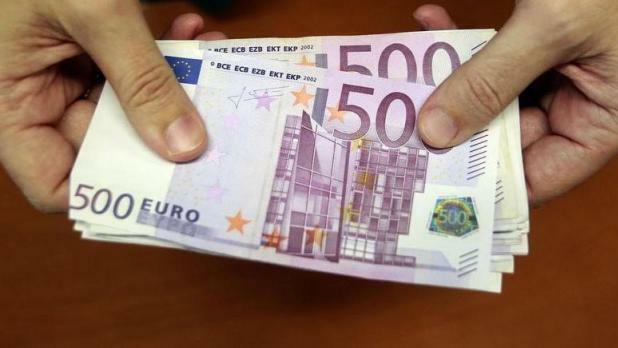 According to a scientific questionnaire drafted by the ECB, apart from daily errands such as buying necessities, 15 per cent of the Maltese said they paid their rent in cash, while more than 60 per cent used it to pay general practitioners for their medical bills. Also, more than 20 per cent said they paid their water and electricity bills in cash. Although the size of Malta’s shadow economy is not quantifiable, a 2010 study projected its size at some 26 per cent of GDP. The economists who spoke to this newspaper said that their estimates today were much higher.